If you’ve ever been to Murphy’s in downtown Honolulu, chances are you’ve been greeted by the smiling face of Jonathan Schwalbenitz. Jonathan has been working at Murphy’s for 21 years and aside from being one of the friendliest bartenders you’ll ever meet he’s also the director of the beverage program. As a huge fan of craft beer, Jonathan is constantly bringing in new and exciting beers to Murphy’s tap rotation. Every March, he helps host one of the largest St. Patricks Day celebrations in the state, which is an event no one should miss. Here’s my recent interview with Jonathan. Where are you originally from and how did you end up in Hawaii? I grew up in New Jersey and moved here in 1989. My girlfriend at that time received a job offer in Hawaii and I jumped at the opportunity to move to the islands. Who wouldn’t? How did you first get into craft beer? Do you remember the first craft beer that got you hooked? My first exposure to craft beer was at the Peculiar Pub in New York City in the mid 1980’s. My jump into the deep end began at Murphy’s when we started our draught program in the mid-1990’s. The beers that hooked me included Samuel Adams Boston Lager, Sierra Nevada Pale Ale, and Full Sail Amber Ale. Do you homebrew? How did you get into the hobby? I would not describe myself as a homebrewer. I have assisted in brewing batches with some very passionate and excellent homebrewers who have shared their knowledge and dedication to educate me. When did you realize you wanted to work in the craft beer industry? There was no bolt of lightning or anything like that. My position at Murphy’s allowed me to sample new products coming into the marketplace. Meeting devoted industry professionals like Michael Jackson and Charles Papazian further fueled my interest in craft beer. Don Murphy’s dedication to featuring craft beer allowed that work to continue. How do you decide what beers to put on tap at Murphy’s? Attending beer events and venues here in the island, on the mainland, and overseas have exposed me to beers and styles that I believe might be of interest to our guests. Our local distributors have been instrumental in expanding the opportunities and they deserve the bulk of the credit for the increasing amount of great beer now available to us. Oftentimes we will have choices of what to provide and sometimes we will ask Facebook and Twitter followers for their input. Are there any beers or styles that you always keep on tap? Murphy’s has a significant portion of regular customers. One of the things they like is that they can come to Murphy’s and order “their” beer. We try to provide as many styles of beer as the number of taps allow without duplication. With our two rotating handles, we can offer new, seasonal, and exciting beers and still maintain a consistent lineup. That being said, we will ALWAYS have Guinness on draught. We have a great crew of bartenders who know how to serve it properly. Big shout out to Chad, Brent, Will, Keith, and Kyle for their excellence. What is the most satisfying part about your job? When a guest lets you know that they had a great time at the bar or restaurant. What about local breweries? How are you working with them? We support local breweries and give everyone a try. We carry local beers on draught full time and more in the can/bottle. When a seasonal or one-off becomes available, we will carry that as well on our rotating handles. We support and encourage as much local brewing as can be made available. As more local breweries come on line, we will bring them in. If we’ve got a local brewery producing quality product, we would be doing a disservice to our industry, our guests, and our economy if we didn’t bring them to our establishment. Ultimately, the guests decide whether or not a beer stays in our lineup. Without them, there is no point. How have you seen craft beer culture grow and change in Hawaii over the past few years? What do you think are the reasons for the growth? 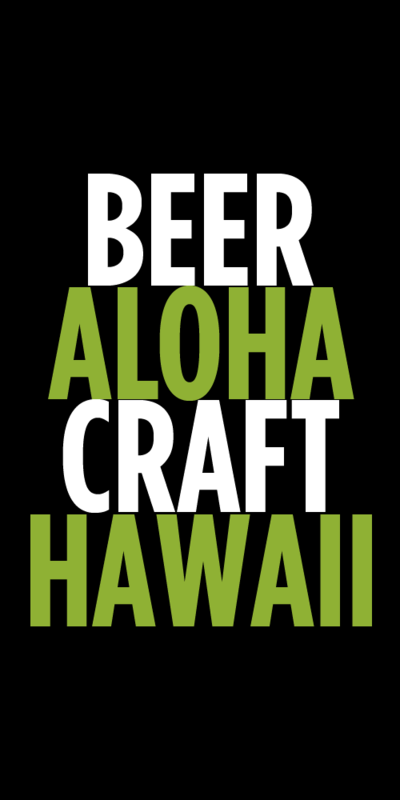 Where do you see the Hawaii craft beer scene in five years? How would you like to see it grow? I believe we will see further growth in the amount of local brewers, especially as the Aloha Brewers Guild and committed individuals like Garrett Marrero work with the state legislature to make Hawaii more business friendly to local brewers. I also believe we will see more external breweries become available as more distributors enter the marketplace. I want to see more growth but only in a realistic and sensible manner. Anyone can bring in product, and anyone with deep enough pockets can start a brewery. However, if the business plan isn’t sound and the company disappears, no one benefits. What beer style would you like to see gain more popularity? What styles do you think fit best in Hawaii’s tropical climate? I would like to see golden ales and pilsners gain more interest. Many people see them as simple and not interesting but I would argue the opposite. Their clean and crisp flavors lend themselves to “sessionability”. Bigger is not always better. For Hawaii, and our year round warmer temperatures, these style go well. 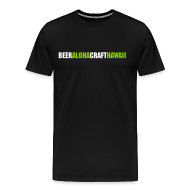 I also believe that beers with tropical fruit notes like some Hefeweizens, and ales with certain hops like Nelson Sauvin (for example the Maui/Lost Abbey collaboration Lemongrass Saison) also fit the Hawaii profile. What has been the coolest experience you’ve had working in the craft beer industry? That’s really hard to say due to the many great things I’ve been fortunate enough to experience. Assisting Lili Hess in brewing her Grape Pale Ale that won the Samuel Adams Longshot competition, traveling to the hop farms and tasting rooms in Bavaria with the Sam Adams brewers, and taking part in the Sierra Nevada Beer Camp and producing a beer to serve at Murphy’s must be at the top of the list. Is there a brewery or beer that you wish you could get here, but can’t? That’s a long list but Mac and Jack’s Amber, Ritterguts Gose (from Leipzig, Germany), and Flying Fish Exit 4 to name a few. What beer do you like to drink after a long day of work? The first one I find in my fridge. Tags: Interview, Jonathan Schwalbenitz, Murphy's. Bookmark the permalink.